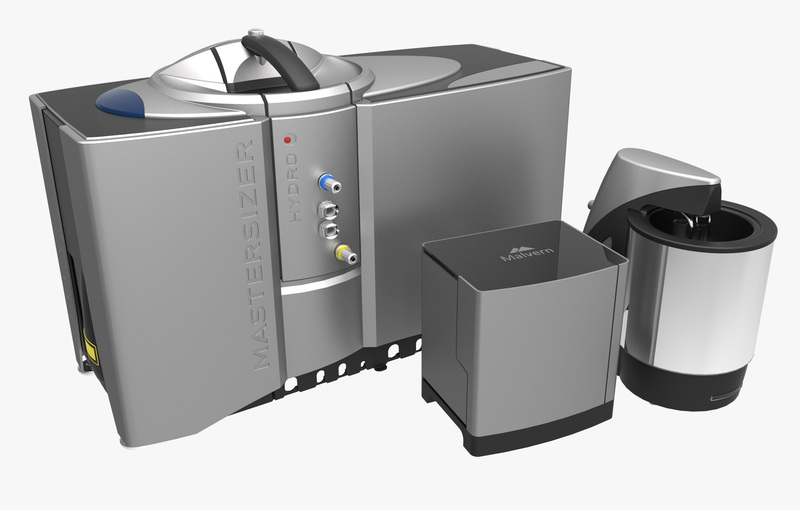 New ‘third anniversary’ accessories for the Mastersizer 3000 from Malvern Instruments are designed to reduce the time and cost of developing and validating robust methods for pharmaceutical particle size analysis. Correlations between particle size and bioavailability make particle size analysis a critical activity for the pharmaceutical industry. The lens-less Hydro Sight imaging accessory enables real-time visual monitoring of a dispersion, providing information to swiftly optimise and validate a method. The Hydro SV (small volume) cell allows method development and reliable particle size analysis, with just a few millilitres of sample. A key step in laser diffraction particle sizing is to achieve appropriate dispersion. This ensures that the measured particle size is representative of the sample and relevant to the application. Hydro Sight is a cutting-edge accessory that images particles in real-time, as they undergo wet dispersion in the analyser. Measurements of size and shape (elongation) distribution in combination with a unique ‘dispersion index’ provide continuous insight into dispersion behaviour and confirm the consistency and completeness of the dispersion process. An advanced anomaly detection function automatically records images of outlying particles, those that are unusual in terms of size and/or shape. The resulting information cuts the cost and time associated with method development, analytical troubleshooting, method validation and the transfer of analytical techniques from R&D through to QC.